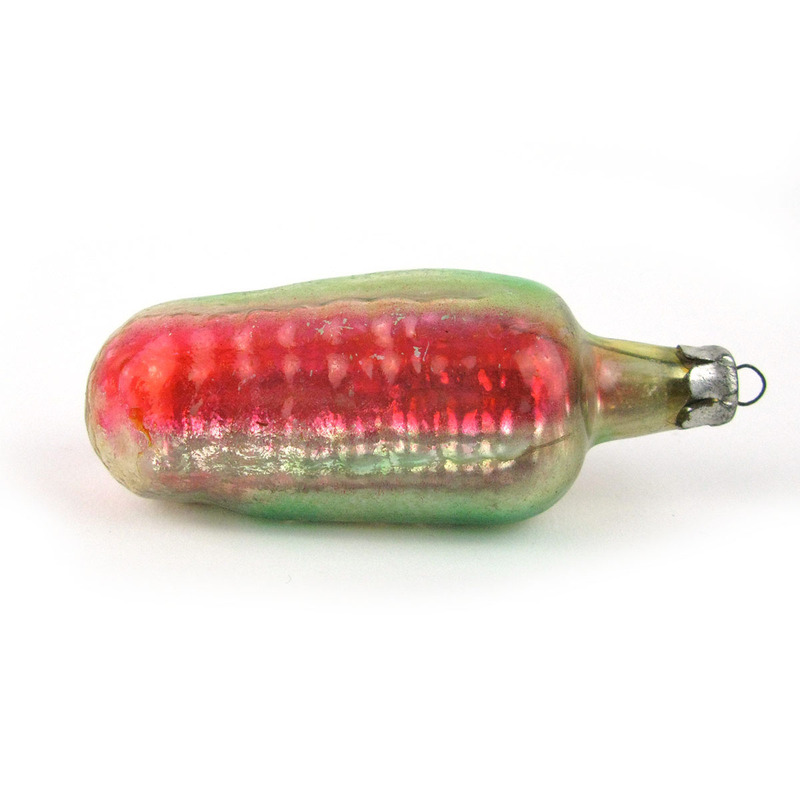 Vintage glass bauble from Ukraine in the shape of a corn on the cob. More than one available. 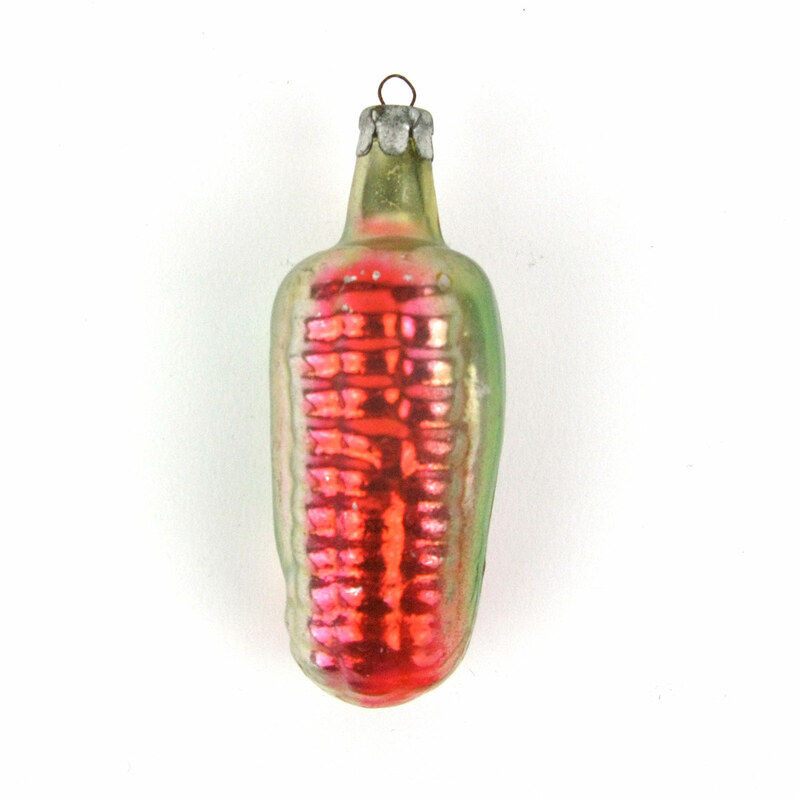 Vintage glass baubles in the shape of a corn on the cob! 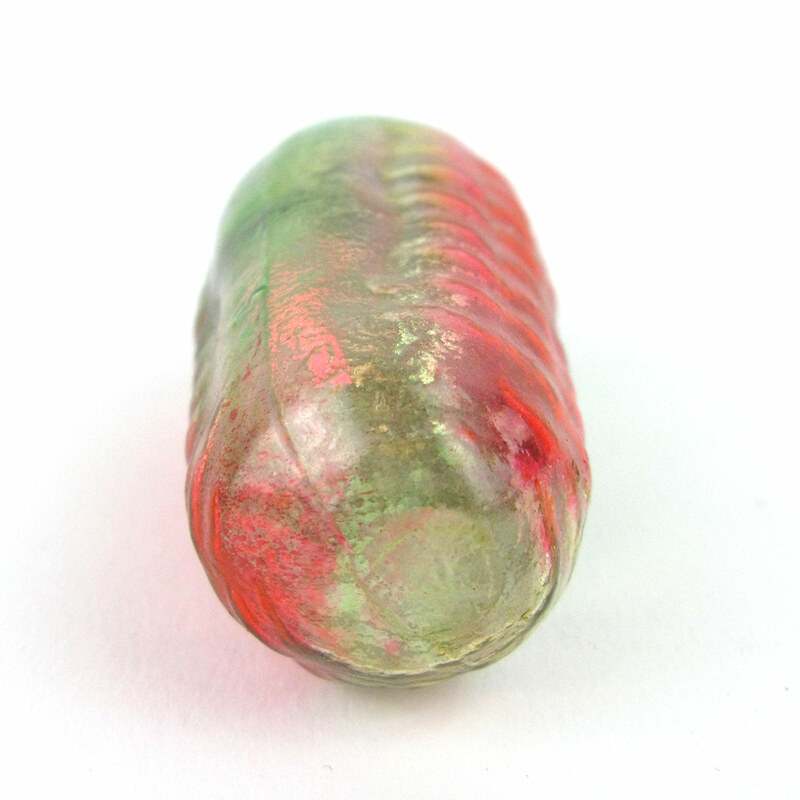 They have a lovely translucent and pearlescent quality with rich pinks. Each one is slightly different in that one has an imperfect metal top (see pictures) – this does not detract from the loveliness of the bauble and would look great on a modern Christmas tree. They are from Ukraine, vintage and have a patina to match.